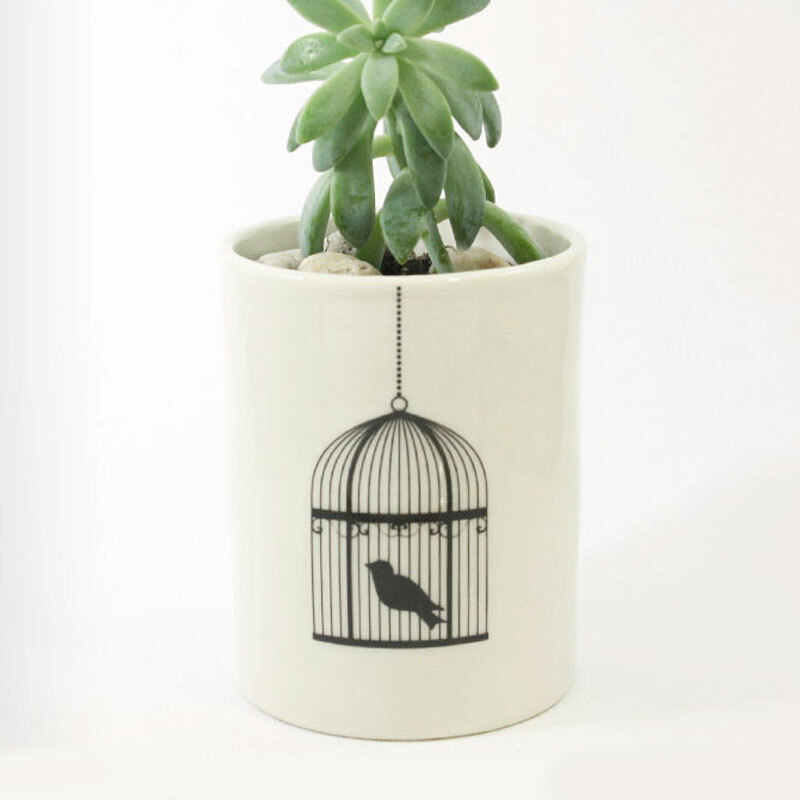 Delicate vintage style screen-print on a wheel thrown glazed ceramic pot. Perfect for use in the study as a pen or pencil holder, in the bathroom for toothbrushes or makeup brushes or even a place to put those loose coins. Each pot may vary slightly, adding to its one-of-a-kind quality.